Skye Gravestones | Roger Baillie. 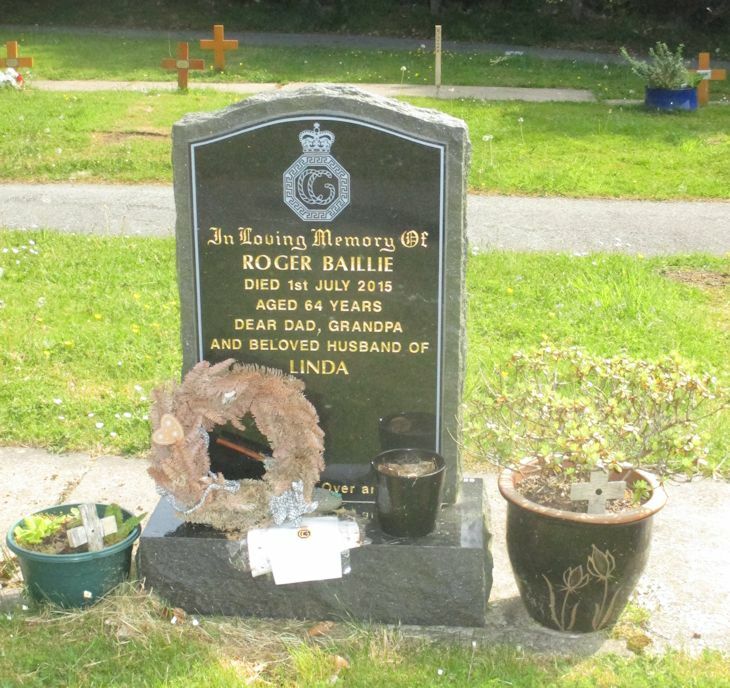 In loving memory of/ROGER BAILLIE/died 1st July 2015/aged 64 years/dear dad, grandpa/and beloved husband of/LINDA. Skye Foxtrot Over and Out. Picture Added on 14 June 2018.